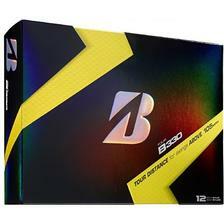 Bridgestone Golf Tour B330 Golf Balls - 1 Dozen - White - $34.99 - GolfersEdgeOnline.com - Best Golf Equipment On The Web! The NEW Tour B330 features Hydro Core Technology, designed to reduce spin for longer distance. Combined with Bridgestone's patented 330 Dual Dimple Urethane cover and 4-piece construction, the B330 will provide tour level performance and distance for players who swing above 105 mph. The NEW Tour B330 features Hydro Core Technology, a revolutionary process which enhances the gradation of the core by 30%, resulting in reduced spin and longer distance off the tee. If you have any more questions about the Bridgestone Golf Tour B330 Golf Balls - 1 Dozen - White; do not see the model you are looking for; need custom options; or prefer to not purchase online, then please call us at (630) 656-1291.